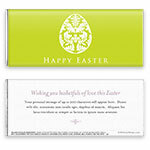 Beautifully simple, this striking design is a perfect choice for any Easter celebration. 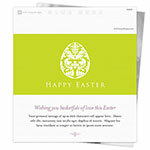 Design: Elaborate Easter egg on a solid background. Personalization: Back title and message.